This project is ADORABLE, and was one of our kid’s classes in the past. However, adults (who are kids at heart) have requested this class, too. So here it is! 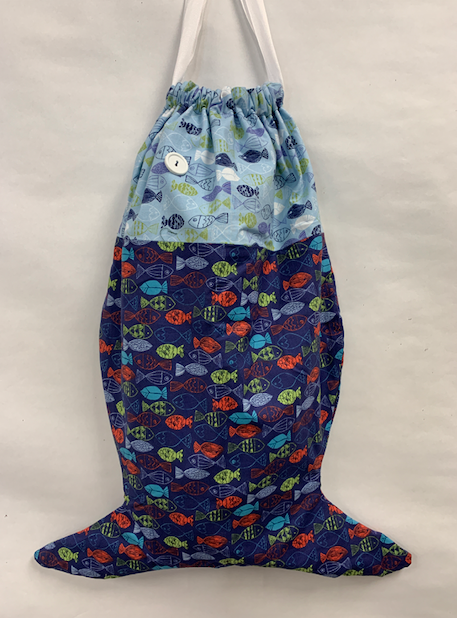 Make a fish shaped drawstring bag great for taking to the pool or the beach and line it with water resistant PUL cloth (which we sell). The pattern is free online, and we will show you where to download it in advance when you sign up.